The U.S. has long looked to Native American Tribal lands as a source of mineral and energy resources and a thoroughfare for delivering the power, energy and water needed to fuel and support development and growth of cities, suburban areas, agriculture, industry and commerce throughout the western U.S. The great irony is that access to basic public services on Native American Tribal lands, including electricity and water, continues to rival that found among the most impoverished regions in the world. Native Americans have been increasingly vocal and organized in demonstrating their opposition to what they see as exploitive or life-threatening investments and activities on the part of energy and mining companies, the benefits from which have historically largely bypassed local residents and communities and left behind a legacy of pollution and environmental remediation efforts that pose threats to human and environmental health and well-being. 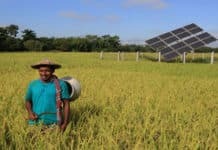 In addition, Native Americans continue looking to take advantage of ongoing declines in cost and improving performance of solar PV, energy storage and supporting smart grid technology and systems in order to craft and implement solutions that resolve the intertwined issues of energy and socioeconomic poverty and ecosystems health and integrity. The U.S. federal government recognizes 567 Native American Indian tribes. Alaska is home to the single largest contingent, while others can be found in 33 U.S. states. In terms of geographic area, there are 326 Native American Indian reservations spanning a collective 22.7 million hectares (87,800 sq mi or 227,000 sq km) – most of them west of the Mississippi River. According to a 2012 census, they’re home to an estimated 1 million of a total U.S. Native American Indian population of 2.5 million. In addition, Native American Tribal lands account for two percent of U.S. geographic territory and hold an estimated five percent of national renewable energy resource capacity, according to a comprehensive study undertaken by the National Renewable Energy Laboratory (NREL) for the Department of Energy Office of Indian Energy Policy and Programs. Struggling to address a variety of longstanding socioeconomic and environmental issues, Native American Indian Tribes are eligible to receive a range of services from the U.S. Department of Interior’s Bureau of Indian Affairs, and they are increasingly looking to leverage and capitalize on them to help develop local renewable energy resources. Proponents, as well as public watchdogs, also are keen to see Native American communities benefit directly and much more substantially than they have historically from fossil fuel energy and mineral resource development. That includes local job creation, education and training, as well as access to affordable, reliable and resilient zero or low-emissions electricity generation and distribution. 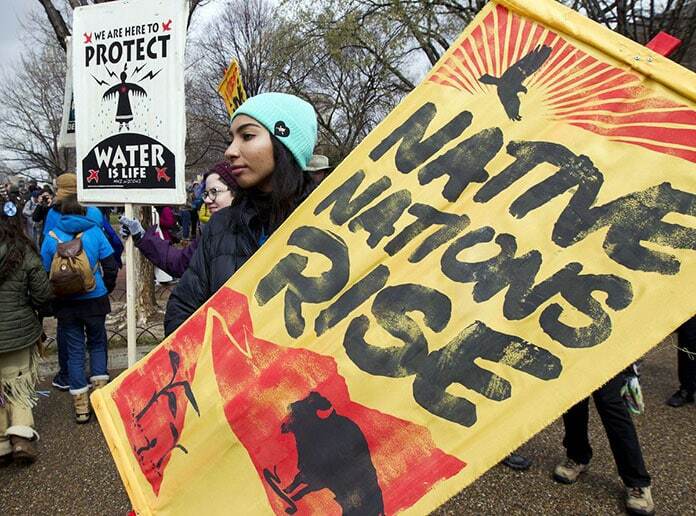 Environmental threats and injustice figure into Native American solar and renewable energy initiatives, as well as the highest profile public protests related to fossil fuel project investment projects in the U.S. – Energy Access Partners’ $3.8 billion Dakota Access Pipeline. In North Dakota, the Standing Rock Sioux continue their fight to halt construction of the 1172-mile (1886-km) long Dakota Access Pipeline, which they assert presents a real and present danger to vital freshwater resources. Some opponents have highlighted the long-stalled effort to develop wind power resources in the area, which are considered among the best in the nation. The Standing Rock Sioux’s protest continues to expand and gain supporters nationwide despite federal, state and local government authorities recently clearing protesters from a campsite they had occupied since early 2016. Adding fuel to the protest movement, the Trump administration instructed federal authorities to skip further federal review and approve the project, which the U.S. Army Corps wasted no time in doing. Native American Tribal leaders also are being proactive as they seek to expand on efforts to develop local, sustainable energy resources and create associated new tribal business and employment opportunities. Solar, wind energy and community-driven cleantech vendors and project developers are keen to work with them. Inovus provides a growing range of off-grid solar lighting solutions to public and private sector organizations. The latest intelligent, networked off-grid solar PV-battery energy storage systems make for much more efficient energy usage and hence reductions in energy usage and bills, Kawaguchi added in a phone interview. Connected to motion sensors, LED lighting can be dimmed, or switched off completely, for example. Furthermore, “when there’s too much cloudy weather, the poles go into an energy saving mode. Now part of SolarOne, Inovus is looking forward to expanding the range of off-grid outdoor solar-LED lighting systems work it’s been doing on Native American Tribal lands to include installing them along high-traffic roads and freeways, parking lots, streets, pathways, pedestrian areas, landscapes, outdoor signage and shelters. The Navajo Tribal Utility Authority’s (NTUA) residential and grid-scale renewable energy programs aim to improve lives, livelihoods and strengthen community across the Navajo Nation, a vast, semi-autonomous territory that spans some 27,425 square miles across northeastern Arizona, southeastern Utah, and northwestern New Mexico that includes some of the most iconic landscapes in the U.S. West. 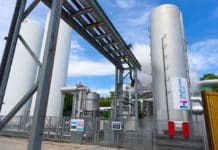 NTUA has installed more than 240 of its latest generation off-grid “solar plus storage” systems and counting since 2010. Some include a small wind turbine. 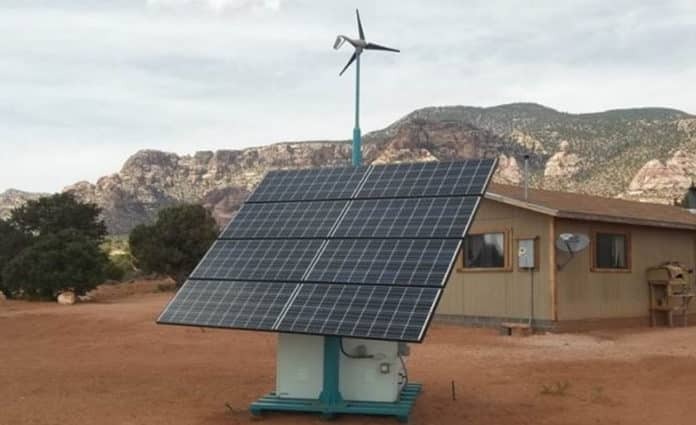 The tribal utility’s initial foray into providing off-grid household renewable energy systems dates back 20 years, however; when NTUA began offering the first, 200W versions, Derrick Terry, who directs the program for NTUA, highlighted in an interview. 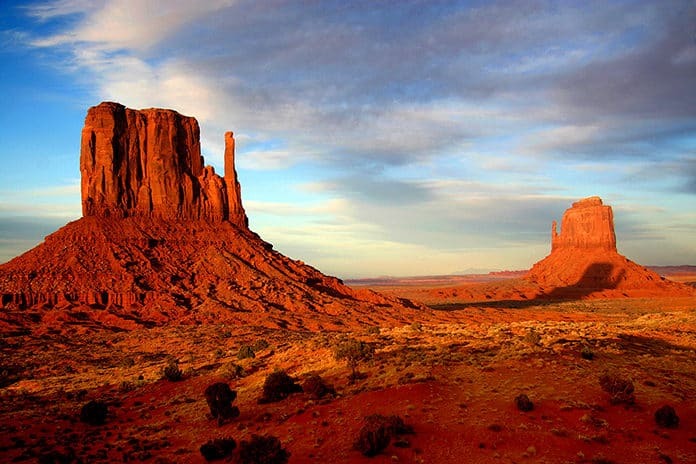 NTUA offers four types of residential solar PV-battery storage leasing options to off-grid residents across seven Navajo Nation community districts. In terms of power capacity, they range from 600 to the latest 1,800W models. All are designed with safety, reliability and convenience top of mind, Terry explained in an interview. Monthly lease payments range from $75-$100 all-in and include lifetime NTUA maintenance and support. Participants also pay a one-time application processing fee of $10.50. NTUA’s smaller off-grid solar home systems are designed to provide safe and reliable electricity service for basic household lighting. The larger packages are sufficient to power a US EPA Energy Star-rated refrigerator as well. In addition to support and maintenance, NTUA provides education and training, as well as battery power and energy capacity meters so that household members can monitor and manage energy usage effectively. In addition, NTUA’s off-grid solar home leasing energy program includes the option of installing a small-scale, 400W wind turbine. The wind turbine is used to support the battery storage systems, Terry explained. Typically, the off-grid residential renewable energy-plus-storage systems NTUA installs replace diesel, gasoline or propane-fueled generators. As a rule, household use of energy efficient CFL or LED lighting is already standard practice. The benefits are numerous, varied and significant, Terry told Solar Magazine. In addition to enhanced energy reliability, efficiency and security, the off-grid residential solar-storage systems offer significant benefits in terms of human and environmental health and safety, as well as much more in the way of convenience. “With the switch over to renewables there’s no off-gassing, exhaust fumes, odors or the risk of fuel spills or fires,” Terry said. Outside the possible, low-volume whir of a small-scale wind turbine, there’s no noise. 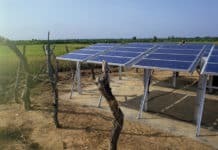 Furthermore, the residential off-grid solar storage systems eliminate the need for residents to make what can be hazardous trips to community trading posts to buy fuel. On the Navajo Nation, that can entail residents having to drive 15-20 minutes each way on roads that as often as not are unpaved. Added to this are the significant benefits residents derive in terms of time and money spent on maintenance. Residential diesel or gasoline-fueled generator sets typically used by off-grid Navajo Nation households aren’t designed to be run 24×7, and they typically need to be replaced every six to eight months or so at a cost of around $1,000, Terry explained. Off-grid pioneers, Terry and his family, which now includes his wife and five children, rely on a homegrown 1,600W solar PV and 24-volt, 700 amp-hour battery storage system similar to those NTUA offers for their household energy needs. They haven’t lacked for convenience, or access to the multitude of consumer electronic devices typically found in modern U.S. homes outside of the reservation, he said. Terry views household use of local, renewable energy resources as one facet of a broader spectrum of renewable natural resource use that’s right in line with modern concepts of permaculture and “green” building. The Terry family’s home, for instance, was built using today’s straw-bale building materials and methods.